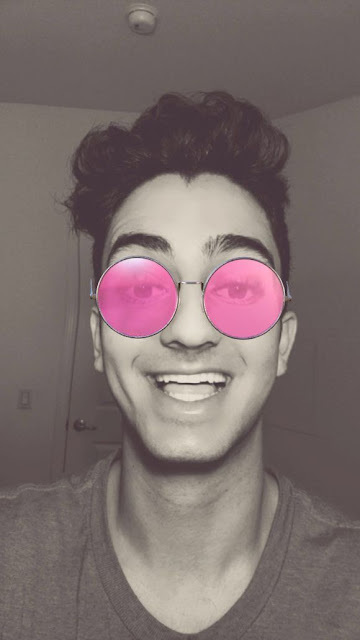 Snap, Inc. the parent company of the Snapchat app, has a loyal base of nearly 160 million visitors monthly, mostly teens and young adults. The tide continues to shift on shares of Snap Inc. days after its splashy initial public offering. Shares of Snap Inc. SNAP, +0.34% fell more than 12% on Monday, reversing two straight sessions of upswings since its market debut. The selloff followed two more bearish initiations on Wall Street, adding to several others that have emerged in the past few days claiming the stock is overvalued. Needham analyst Laura Martin initiated coverage on the stock with an underperform rating, which is the equivalent of sell, and a fair value price target range of $19 to $23 a share. She expressed concern that Snap stock could suffer through at least 2019, plagued by decelerating user growth and huge losses that could weigh on its fair value even if sales increase. CFRA Research analyst Scott Kessler initiated coverage with a sell rating and $22 target. A number of analysts in recent days have expressed concern that Snap stock is overvalued, particularly when it was trading well above its IPO price in the high-$20s range. The average rating on the stock among a poll of six analysts surveyed by FactSet is the equivalent to sell, while the average price target is $16.50, below Snap’s IPO price. Snap stock closed at $27.09 on Friday after pricing in its market debut at $17 the day earlier. It ended at $23.77 on Monday. In a note to clients that went out Monday morning, Needham’s Martin referred to Snap as a “lottery-like stock,” which at first glance may look like a good buy. However, closer scrutiny of its fundamentals reveal a different story plagued with risks, she said. Among those risks is slowing user growth, which is exacerbated by the fact that Snapchat has a total addressable market that is 80% smaller than Facebook Inc.’s FB, +0.18% according to Needham’s calculations. Facebook, which recently rolled out a Snapchat-like ephemeral photo-sharing service called Instagram Stories, offered to buy Snapchat in 2013 for $3 billion. Its rival Snapchat service, launched this past summer, has been credited for a deceleration in Snapchat’s user base. “We see strong user engagement, but user growth that has decelerated,” said Kessler, who cited similar reasons for his sell rating. Revenue gains may be outpacing peers right now, but it faces much larger rivals, which becomes an issue as it tries to scale beyond a niche product, he said. Snapchat’s revenue growth might also be an issue. The company reported revenue of $463.1 million last year, up sharply from just $58.6 million in 2015 as it continued to increase its ad load. However, Needham’s 2017 revenue target of $3.3 billion for 2019 would require the company to have a 14% to 16% share of adjusted mobile or digital ad spending, while it had just a 2% share in 2016. Even if Snap does grow revenue by eightfold to meet that target, its share price could still decline when taking into account the enterprise value/sales ratios of digital-advertising leaders Facebook and Alphabet Inc. GOOGL, -0.21% GOOG, -0.16% said Martin. Needham also believes there’s “no clear path to profitability before 2020.” Last year, Snap reported a loss of $514.6 million, compared with $372.9 million in 2015, which stemmed from higher costs of revenue. Snapchat, which has been referring to itself as a camera company in an effort to distance itself from its social media peers, was joined in Monday’s sea of red by GoPro Inc. GPRO, -7.92% . Shares of GoPro, a camera company that often refers to itself as a media company, closed down 7.9% to $8.14 following a downgrade from Goldman Sachs. Snapchat lured a herd of IPO starved investors, sending the stock soaring. But that upward trajectory may disappear quickly. At least that's the growing opinion of influential group of Wall Street stock pickers. The average prediction of the analysts who have issue a recommendation on Snap Inc. is that the shares of the photo sharing company could plunge 40% in the next year. That means these Wall Streeters believe the shares, which closed at just under $24 on Wednesday, could go as low as just below $18 in the next year. So far, seven analysts have issued a rating on the stock, none of which work at firms that helped sell the Snapchat's IPO. Five say the stock is a "Sell," while another two are calling the stock a "Hold." Not a single analyst has yet to recommend the stock. And that growing skepticism could be what drove shares of Snapchat down as much as 12% in trading Monday. 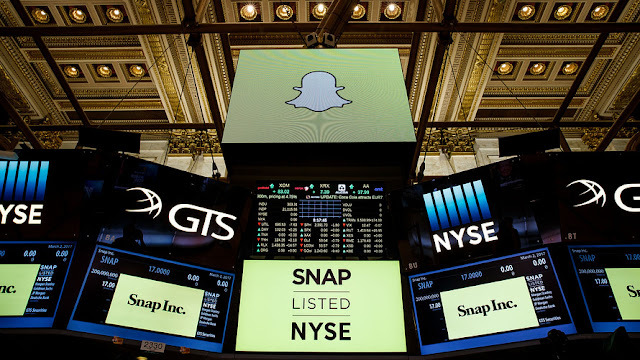 The negative outlook for Snap's shares is notable not just because it's a hot IPO, but also because Wall Street analysts are usually a pretty optimistic bunch, says Narasimhan Jegadeesh, who teaches finance at Emory University's Goizueta Business School. In their reports, the analysts rehashed some of the concerns that were voiced prior to Snap's soaring debut: The company's user growth has slowed and it lacks profits. But there was also talk of stiff competition. "Ultimately, Snap's competition, which includes wide-moat Facebook with nearly 2 billion users, is overwhelming, in our view. In particular, Facebook's Instagram may emerge as a substitute for Snapchat," Morningstar wrote in their Friday note. But people who bought shares in Snap, like this Uber driver, don't need to fret quite yet. The company has quite a few cheerleaders on the sidelines. Snap had 26 underwriters on its IPO, several of which are titans in world of Wall Street research. That includes Morgan Stanley, Goldman Sachs, J.P. Morgan, Deutsche Bank, Barclays, and Credit Suisse. Currently, those 26 underwriters have been barred by Securities and Exchange Commission regulation from releasing research for 25 days after the IPO.
" So after the quiet period, they will be releasing their own research in a few weeks," says Matt Kennedy over at Renaissance Capital. "Those are all typically going to be [buy] or hold. . .but it's really likely [buy]." Moreover, these underwriters likely have more access to management and information than those that aren't involved in the IPO, said Leslie Pfrang of Class V Group, an IPO consultancy firm. That could move the needle slightly in Snapchat's favor, reminding uncertain investors why they might have liked Snap in the first place—how inexpensive it is to add each new consumer, potentially creating sizable profit margins not unlike Facebook's 40%.Or maybe it was just the dog faces. 0 Response to "Who bought Snap stock? Snapchat's young users snap up stock — and want more IPOs"